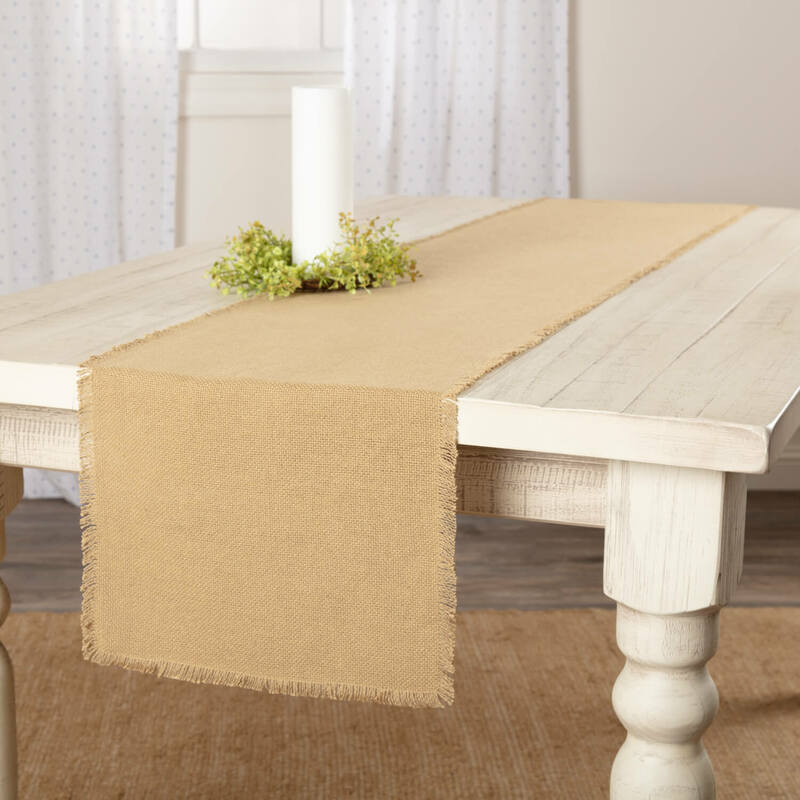 Add a rural touch to any table with the Burlap Natural Runner Fringed 13x90. 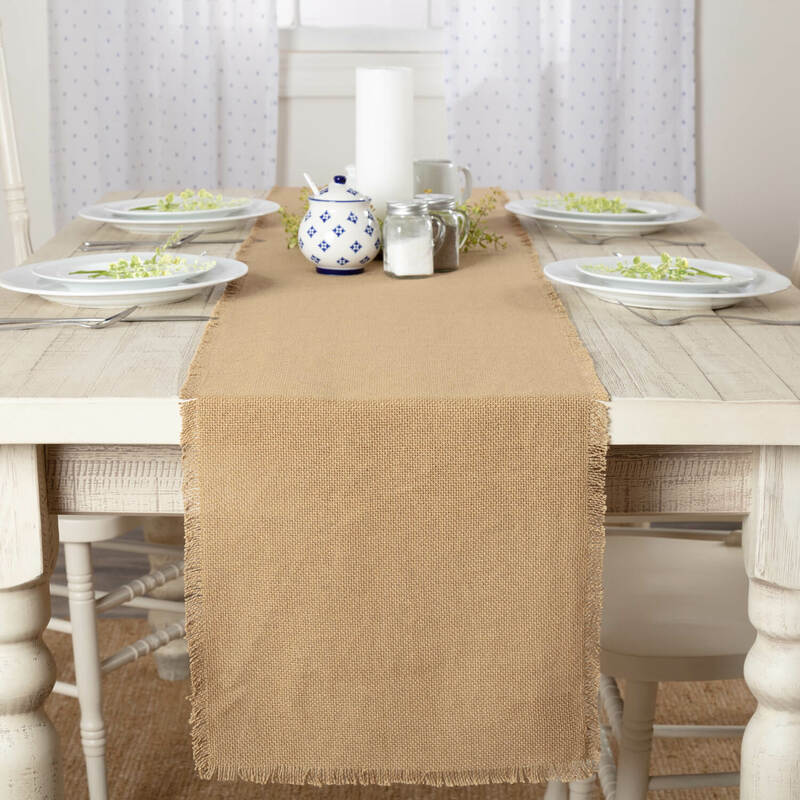 Its solid tan color and all cotton construction coordinates in multiple settings making it perfect for memory making gatherings for years to come. - Dimensions: 13" x 90"